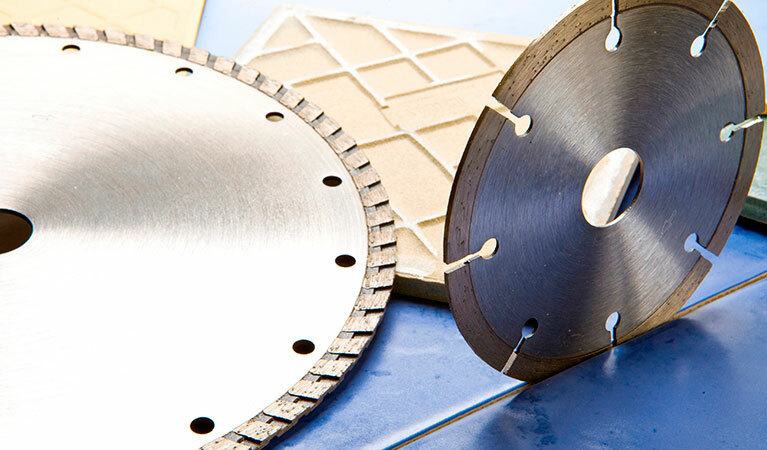 Global Diamond sell high quality diamond cutting blades for cut-off circular saws for the professional user. 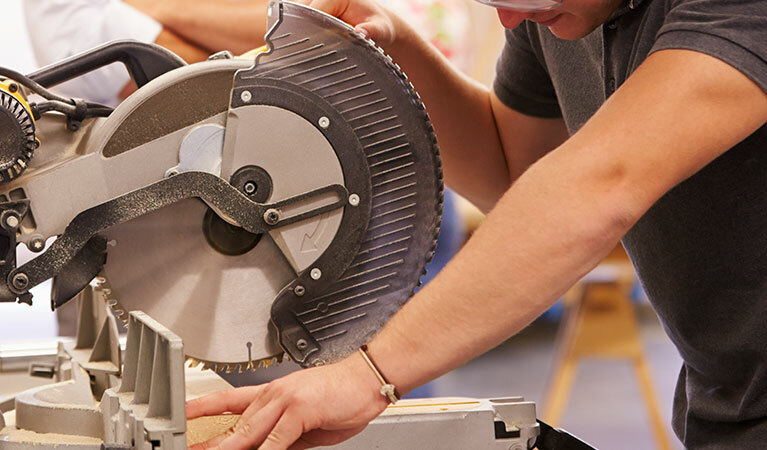 The teeth of a circular saw might snag causing the machine to react in a highly aggressive, uncontrolled and dangerous manner as responsible trade retailers we want to minimise any accidents that can occur using these powerful machines. So we would like to remind our purchasers of the basic use of protective clothing you should always wear using circular saws of any kind. Clothing should be snug-fitting, but allow complete freedom of movement. Wear snug fitting clothing with cut-retardant pads, ideally an overall, not a loose fitting jacket. 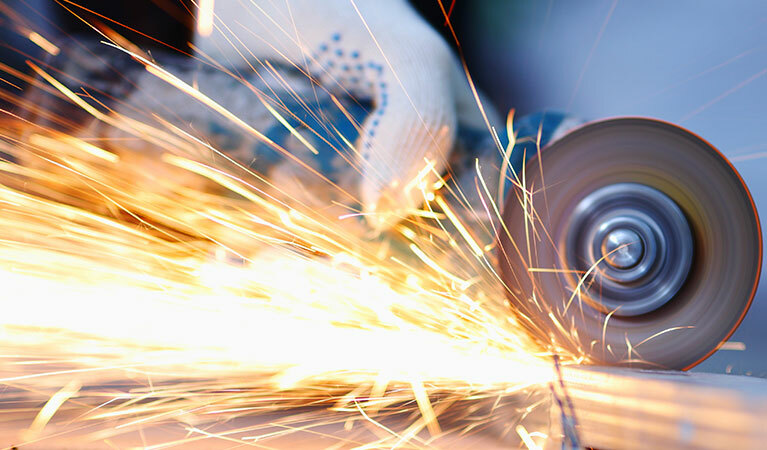 When cutting steel always wear clothing of a low flammable material, such as leather or cotton with a flame retardant finish, not man made fibres. Do not wear clothing that could become trapped in moving parts of the machine, No scarves, no neckties, No jewellery. Long hair should be covered or tied back. Wear a Hard Hat. 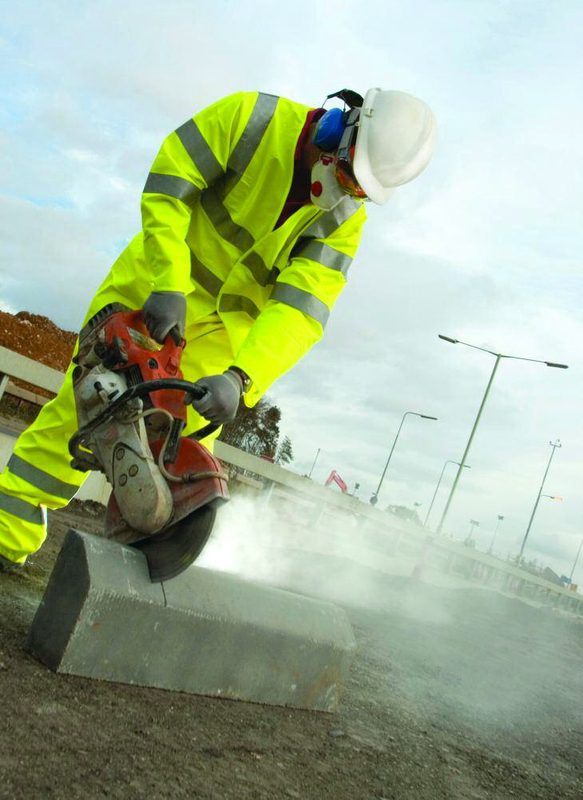 Ideally wear a face shield, dust mask or respirator. Wear safety glasses. 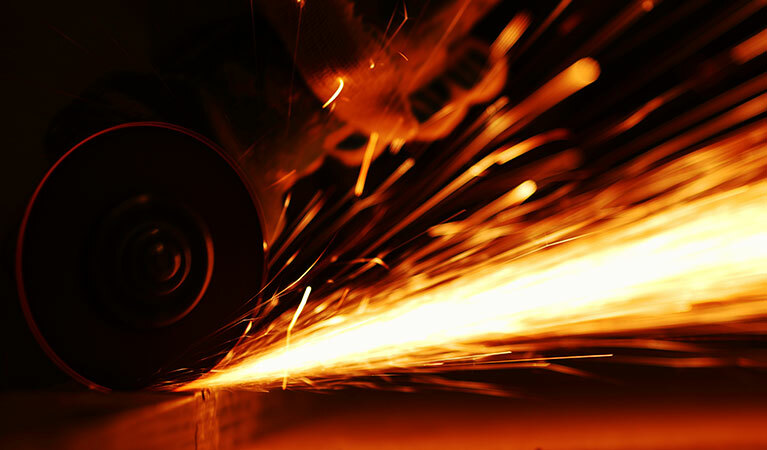 Dust and smoke fumes may be produced while cutting hard materials like stone, brick or concrete. Wear ear defenders if possible. Think of the long term damage you may be exposing yourself to. 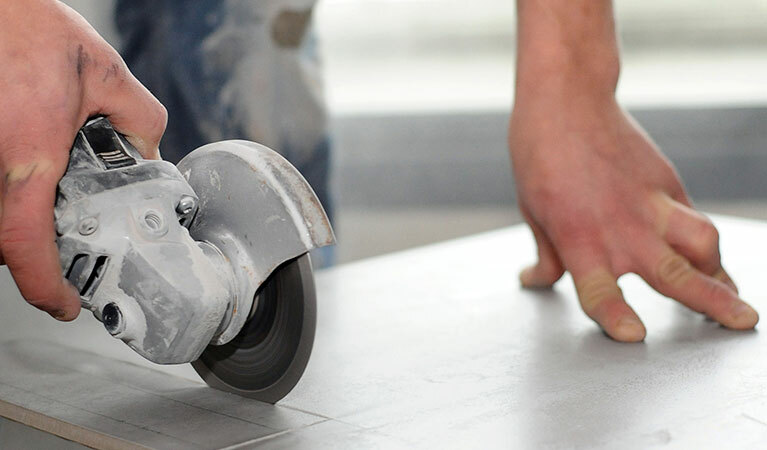 Wear good quality safety boots with steel toe caps and non-slip soles. Wear heavy-duty, non-slip gloves, preferably made of leather. Think of your own personal safety and the safety of others when using cut-off machines. Remember a good quality new diamond cutting blade will give a quicker cleaner cut, reducing risk.  ← Mortar raking or Mortar cutting with a Global Diamond Mortar raking Blade.